Hi friends! I'm back with a new 1-2-3 card design for you for May! Thank you for leaving your comments last month - I love hearing from you, and I'm glad you are enjoying the designs. These 1-2-3 Cards can be made quickly and easily with 1 Sentiment, 2 Paper Shapes and 3 Embellishments. Easy, fast and fun! 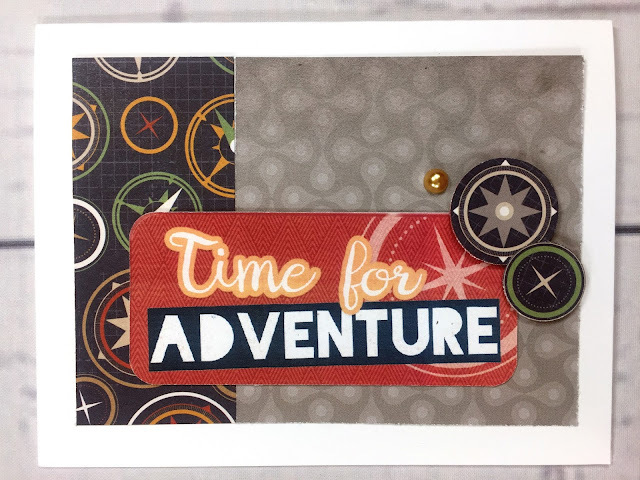 This month I'm using the papers and embellishments the brand new travel collection from Creative Memories called "Gallivant"! 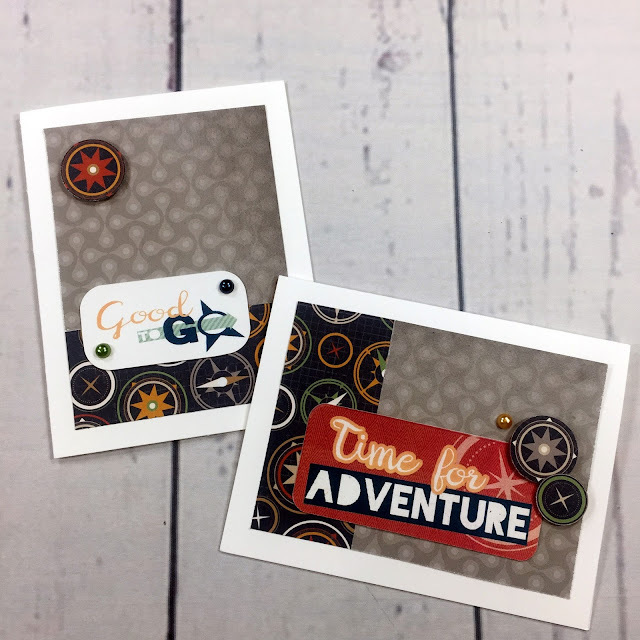 The retro designs in this collection are great for documenting family road trips, round the world travel or even cruises! The album and papers are absolutely beautiful and the stickers, embellishments and mat pack continue the fun theme. 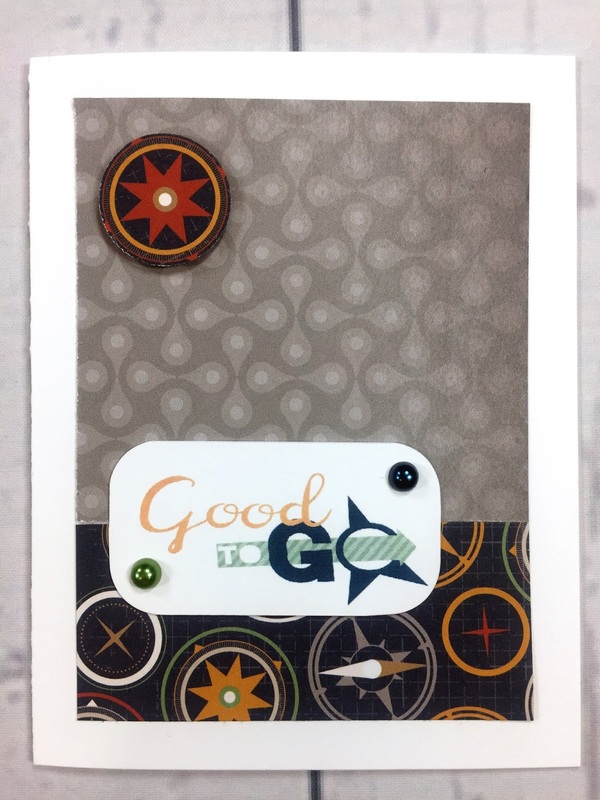 The cards I made with this collection do have a travel feel to them, but of course you can use whatever paper and coordinating embellishments you have, and can customize them for any occasion. So grab a cool drink and relax for a few minutes as I show you how quickly this month's cards come together! Sorry ladies...I forgot all about the May draw until I went to post the June Card! Sheesh! Susan, please send me your mailing address via email at organizedandcreativemom@gmail.com and I'll get your happy little card kit in the mail to you asap! June 1-2-3 Cards are now up! What a great idea Rosemary! Your ideas made me brave enough to make some Mother's Day cards! I made 4 cards in just a small amount of time. I'm so excited to hand them out tomorrow! So glad I could help inspire you Michelle! I'm sure the moms in your life will LOVE your cards!